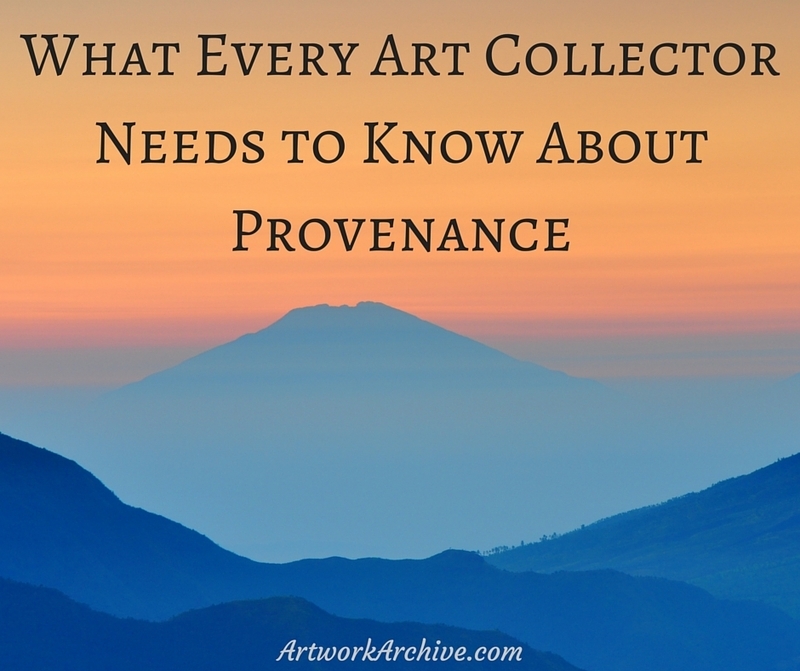 Provenance is a pivotal vernacular in the art world. From the French word, provenir, meaning “to come from,” it proves the history of ownership of a specific piece of art. Provenance is the documentation that authenticates a particular art piece. These documents outline details like the work’s creator, history, and appraisal value. The conversation surrounding forged artwork generally begins with provenance. Authenticity documents can be falsified—sometimes claiming the work is created by someone else or is from a different era. These differences can equate to huge disparities in value. Imagine you purchased a 15th-century portrait. When you bring in an appraiser to weigh in on the value, you discover it’s actually a 17th-century portrait. In this case, you’ll want to work with the dealer, and an art lawyer when necessary, for a refund in the difference in value. These types of sales can be avoided by knowing what type of provenance documents to trust. There are many forms of provenance documentation. A signed statement of authenticity from the artist or an expert on the artist is ideal. An original gallery sales receipt, receipt directly from the artist, or an appraisal from an expert in the era are also good options. Unfortunately, anything can be copied or falsified, but these are generally good options. Some suggest that a verbal confirmation serves as authentication, although if you can’t store the document in your Artwork Archive account, it’s risky. If someone gives you a verbal confirmation, our suggestion is to request an inked version, certified by either the individual’s credentials or the gallery where you bought the piece. Whatever form of paper authenticity you have, be sure to log it in your Artwork Archive account. This is a case of: “I won’t believe it until I see it.” Regardless of what the dealer tells you is available, do not trust the provenance or authentication until you analyze it yourself. Any initial concerns could be very telling about whom you’re working. Some gallerists claim that the provenance must be withheld to protect the identity of the previous owner. This is a difficult situation, and purchasing art without any proof of provenance is not advised. Additionally, it goes without saying that a signature on a piece is not provenance—physical, certified documents must prove the artwork’s origin. A value appraisal does not authenticate the artist or era. Unless the appraiser is an expert in a certain artist or era, which is a separate credential, you should not trust their judgement on anything but the work’s value. Generally, appraisers assume the work is authentic, and assign a value based on this assumption. Learn more about professional appraisers here. 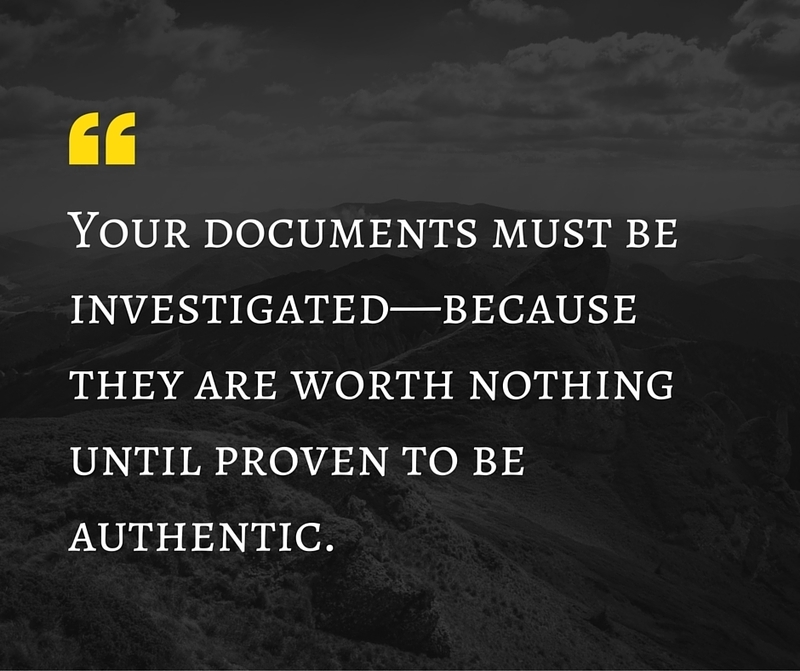 Your documents must be investigated—because they are worth nothing until proven to be authentic. You have to be able to trace the qualified individual’s signature, the artist in the question, or previous owners back to real people. This will help you confirm that the document given to you is not fallacious. Unqualified experts attribute art all the time, and the documents might be completely trustworthy. Once you have confirmed that the stated individuals on the documents are real, the final step is knowing who is a certified expert. A qualified authority is a difficult concept, because it’s more than claiming (or seeming) to be an expert. This individual needs to have significant background and experience with the artist. Such as published papers about the artist, or perhaps they teach courses, or have catalogued essays about this artist. Of course the artist themselves, relatives, employees and descendents of the artist are understood as a qualified authority. Once you have all of your documents corroborated and stored in your Artwork Archive account, you can have peace of mind. Protect and preserve your collection following these tips, and get more artful insights in our e-guide, Essential Guide to Collecting Art. If your business isn’t collecting art, you could be missing out on these 5 major benefits.